Growing up in New Jersey, an 11­year­old boy named Junior Sanchez resorted to using his siblings hand­me­down records and two of his parents’ old stereo systems to create a makeshift DJ rig. By age 15, this prodigy was already DJing at some of the hottest underground clubs in NYC and perfecting his craft as a producer. Junior’s intense passion for music and unrelenting work ethic has allowed the New Jersey native to transform himself from his humble beginnings into one of the most innovative and in­demand DJ/Producers in the industry. Housecat, The Faint, New Order, Emiliana Torrini, Jamiroquai, Giorgio Moroder, Moving Units, Morningwood, Christina Millian, Mya, Les Rhythmes Digitales, and countless others. 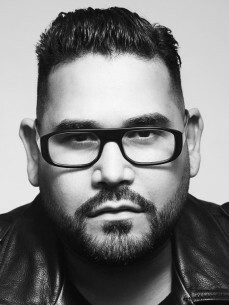 When he is not producing for some of the biggest artists in the industry, Junior focuses on his own massive tracks, Number 1 Beatport chart toppers “Where You Are” and “I Believe In.” As a DJ, he has performed internationally in clubs and festivals throughout the United States, Asia, Australia, and Europe. 2016 started with a bang as junior played at some of the worlds most finest underground clubs , Fabric , Ministry Of Sound, Space Ibiza, to name a few and his Summer Residency at PIKES in Ibiza has just begun. When it comes to his career, Junior is not one for slowing down. currently in­studio & collaborations in the works with Crookers, Kydus, Gene Farris, Jesse Rose , Harry Romero for the rest of 2016 into 2017. He has released and has upcoming releases on Play it down, Cajual , Circus Recordings , and Natura Viva labels in 2016. But more is in store as Junior has his eyes laser focused on his including his debut full length album coming in 2017. In addition to producing and touring constantly, Junior is starting his own record label / multimedia company Brobot Records. Junior Sanchez has undoubtedly carved a place for himself in this cutthroat industry, but expect bigger and better things from this creative juggernaut in the near future.